Aston Martin aims to bring luxury private transport to the sky with its Volante Vision Concept aircraft – a flying autonomous, hybrid-electric vehicle that can take off vertically. Named after the Italian word for flying, the Volante was debuted on 16 July 2018 at the Farnborough Air Show, alongside other aircraft designs including Boeing’s hypersonic aircraft concept. According to the car manufacturer the Volante Vision Concept pairs Aston Martin’s signature sleek fuselage design with the latest advances in aerospace, electrification and autonomous technologies. “We are at the beginning of a new generation of urban transportation, vertical mobility is no longer a fantasy,” said chief creative officer Marek Reichman. “We have a unique chance to create a luxury concept aircraft that will represent the ultimate fusion of art and technology,” he added. Designed to provide fast, efficient and congestion-free luxurious travel in urban areas, the flying vehicle presents Aston Martin’s vision of future urban transport. “With the population in urban areas continuing to grow, congestion in towns and cities will become increasingly demanding,” said Aston Martin CEO Andy Palmer. “We need to look at alternative solutions to reduce congestion, cut pollution and improve mobility. 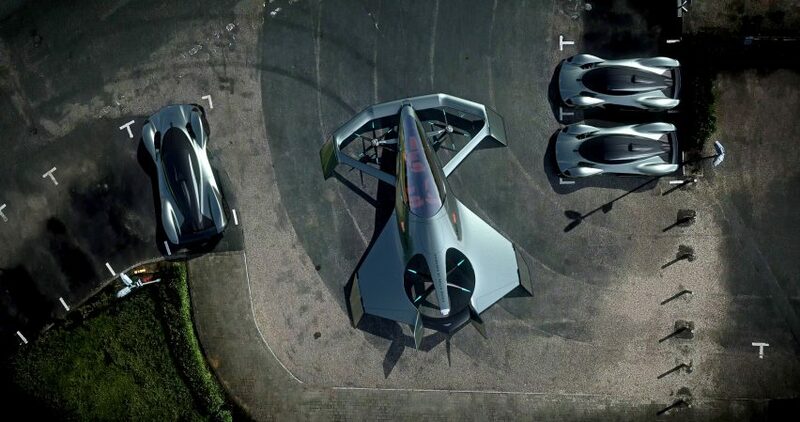 Air travel will be a crucial part in the future of transportation, the Volante Vision Concept is the ultimate luxury mobility solution,” he continued. 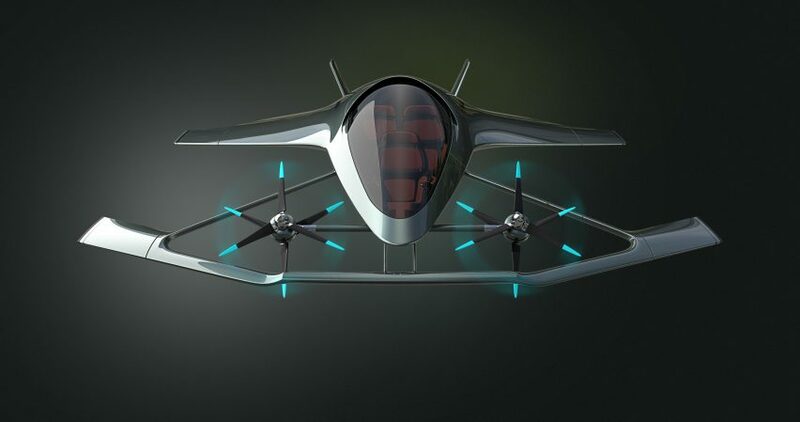 Able to accommodate up to three passengers, the self-piloting aircraft boasts a hybrid-electric power train, and vertical take-off and landing (VTOL) capabilities. 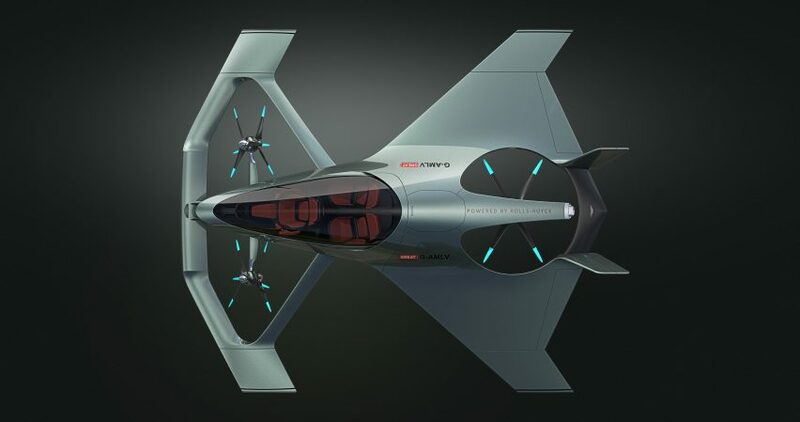 While the company are not currently releasing any further technical or specification details, the aircraft appears to be powered by three propellors, one large horizontal propellor at the rear, and two tilted propellors at the front. 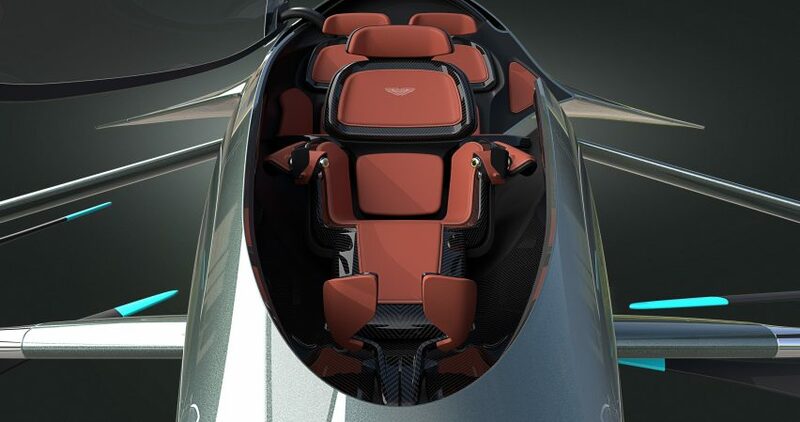 Aston Martin hope to change the future of transportation by giving their customers a new dimension of freedom with aircraft. “Humans have always spent on average one hour commuting to and from work. The distance we live from our workplace has been determined by the methods of transportation available,” said Palmer. “The Volante Vision Concept will enable us to travel further with our hourly commute, meaning we are able to live further away from where we work,” he continued. 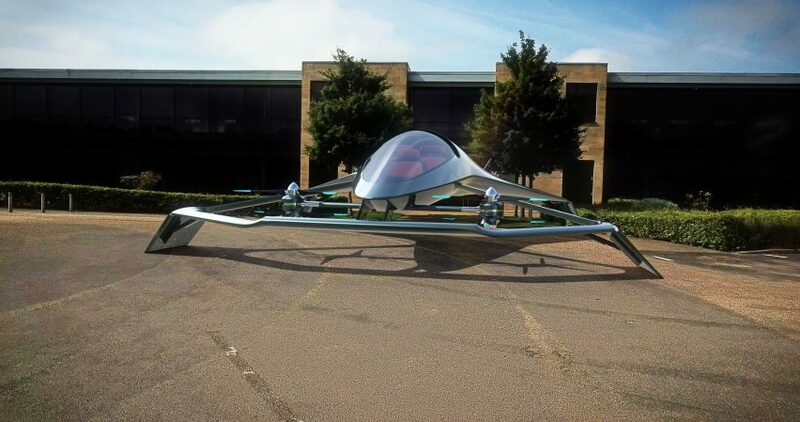 The concept was designed in partnership with Cranfield University, Cranfield Aerospace Solutions and Rolls-Royce. Before making its foray into aircraft design, Aston Martin did not restrict itself to automobiles. In 2016 the company designed a powerboat, and last year it collaborated with submersibles manufacturer Triton to create a concept for a limited-edition submarine.